Plant Bulbs Delivered to your door. Bulbs are now available to order! Onion. A bulbous perennial with strap-shaped leaves. Dense ball of star-shaped. lilac-pink flowers. Height 1.4m. Spread 15-20cm. Flowers from May to July. Deciduous.Hardy. Planting instructions Plant in hole large enough to avoid disturbing root ball. 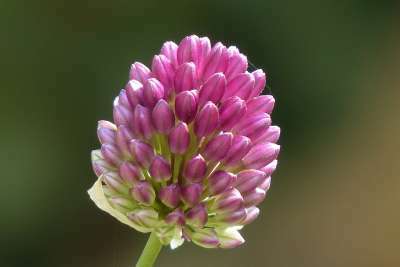 Allium globemaster produce purple flowers which get to 80cm in height around May/June. 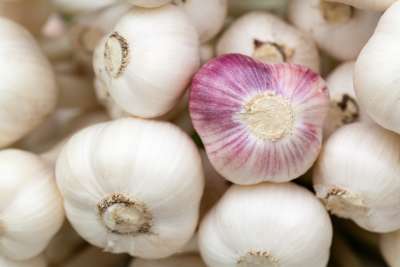 - Alliums will grow in a wide range of soils provided there is good drainage. They like sunshine but the flowers will last longer in partial shade. 'Mont Blanc' is a bulbous perennial with glossy, strap-shaped, deep green basal leaves and, from late spring into summer, sturdy, erect stems bearing dense, rounded umbels of star-shaped, creamy-white flowers. Allium Purple Sensation produces globe-like blooms in a stunning lilac-purple colour. Purple Sensation will produce flowers at 10cm in diameter and will reach 80cm in height. Purple Sensation will flower in early June. Onion. A bulbous perennial. bright-green leaves. that die back before flowering. Bears umbels. star-shaped pale purple flowers. Height 25-60m. Spread 20cm. Flower colour Purple. Flowers from May to June. Deciduous. Foliage colour Green. Hardy. Medium to high growing and long lasting.Prefers sun and partial shade. Flowers March/ June. A majestic plant for your late spring garden! This sun loving, drought tolerant variety produces lilac-purple coloured flowers up to 15cm in diameter. 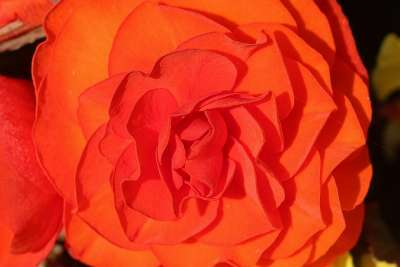 It will cause a sensation in your garden when the large ball shape flowers begin to appear. Unfailingly spectacular! Be sure to plant among other perennials that also have good structure. A fine, easy to grow species with very broad, ornamental, flat, blue-green leaves and producing dense, whitish, pink to rose, globular heads of flowers in spring. The Royal Horticultural Society has given it its prestigious Award of Garden Merit (AGM). Large umbell of white florets with a pink cast to it, striking green eye in each floret, golden yellow with very prominent anthers and a faintly sweet fragrance. The plant is 2.5 to 3 feet tall., Foliage and stem emerge relatively late, in April. 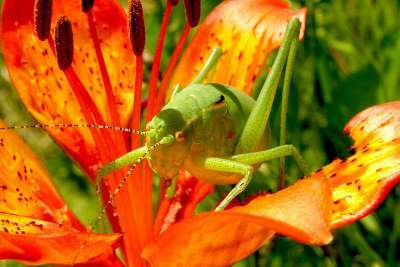 Flowers produce a lot of nectar, prolific grower , also from seed. Needs to be thinned every third or fourth year. Tight fist size heads of vivid purple. Plant in clumps anywhere in the border. They are best left undisturbed where they will naturalise and multiply. Height 60-75cm. Flowers May-June. Robust. large-flowered. bulbous perennial bearing white flowers. 10-15cm across with pink tinged petal tips in winter. Height 30-50cm. NOT hardy. Minimum temp 13 degrees celsius. Bulbous perennial with stout purple-green stems. 6 or more funnel-shaped. scented pink flowers. Strap-shaped. fleshy leaves. Height 60cm. Spread 10cm.. Flowers from August to September. Deciduous. Foliage colour Green. Frost hardy. Planting instructions Water thoroughly before planting. A scarlet red variety that will produce two to three stems per bulb, proving good value for money. Supplied as giant 32cm+ bulbs. Robust. large-flowered. bulbous perennial bearing salmon flowers. 10-15cm across in winter. Height 30-50cm. NOT hardy. Minimum temp 13 degrees celsius. Robust. large-flowered. bulbous perennial bearing stripy flowers. 10-15cm across in winter. Height 30-50cm. NOT hardy. Minimum temp 13 degrees celsius. 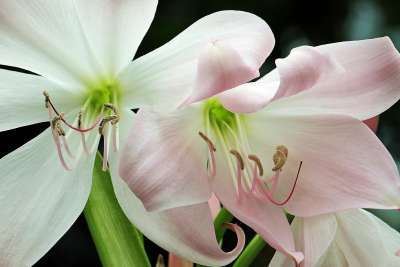 Charisma' is a standard Amaryllis that produces a medium-sized flower with a blood-red center that fades out to a pinkish hue, eventually to white, and a red trim around the petals of the bloom. One of the joys of early spring the lovely Anemone blanda, from the Eastern Mediterranean where, long before the tourists arrive, it graces rocky places, shrub and open woodland in sheets of colour. The delightful flowers are like large daisies. 'Blue Shades' is a lovely variety with blue petals neatly arranged around a gold centre. Naturalises and multiply as quickly as snowdrops and bluebells. Delicate carpet of rose pink. 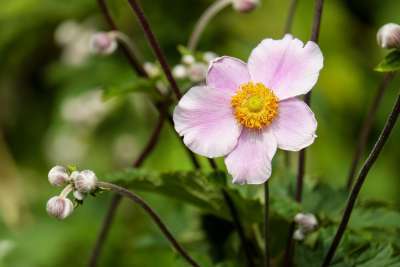 Anemones should be planted at least 3-5cm deep and no less than 10cm apart. 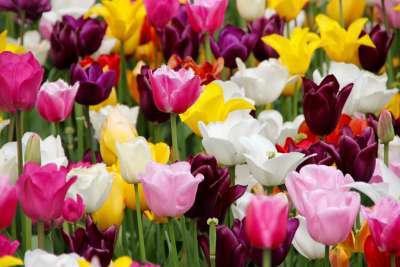 It is highly recommended that you soak the bulbs in water for one day prior to planting. While they do not object to partial shade, they thrive best when planted in an area with plenty of access to sun. The richer the soil, the more flowers each corm will produce. They are an excellent choice for borders or rockeries, but can also be grown in pots or containers provided they are not given any heat. In spring, large white daisy-like flowers (to 4cm across) emerge above the attractively lobed, dark green foliage. Each petal has a pink flushed reverse and they all sit around a boss of yellow stamens. Ideal for underplanting shrubs or trees. Certainly not your everyday, run-of-the-mill Anemone! This interesting hybrid has single white blooms with an inner red halo! Anemone De Caen do wonderfully grouped along borders where you need a splash of colour. Plant them in your cutting garden for a unique addition to your flowering bouquets. Anemones are also excellent when planted in rows in the flower or vegetable garden to be used for cut flowers. For best results make sure to soak the hard corms in water overnight before planting. Anemone De Caen Hollandia also known as poppy anemone, these are a bright red in colour, excellent as cut flowers and superb in containers. Anemone de Caen 'Mr Fokker' Hardy perennial. 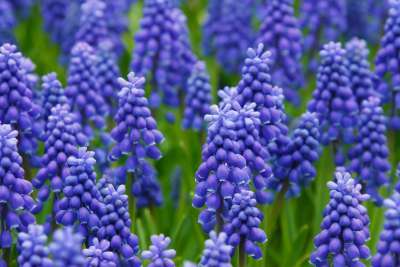 Produces beautiful bright Blue flowers which can be grown in front borders or containers. 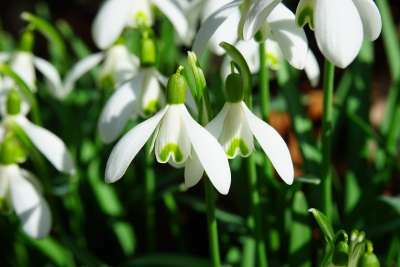 You can have these bulbs flowering twice a year, if planted in the Autumn they will flower during March and April, if planted in the spring they will flower during the months of June to September. The nice thing about anemones is that they are perfect for cut flowers and are often used in florist for flower arranging. 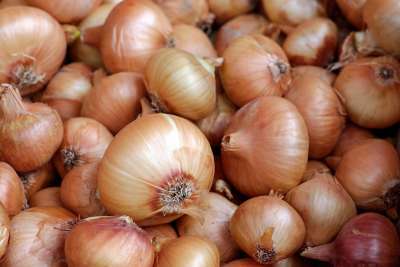 Bulbs need to be soaked over-night to plump them up. Anemone De Caen The Bride also know as poppy anemone, these are a brilliant white in colour, excellent as cut flowers and superb in containers. Lily. 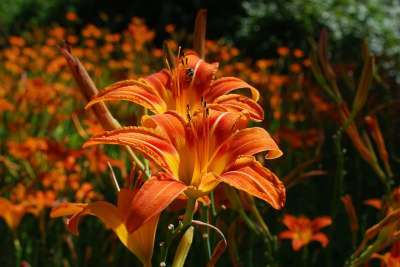 A hardy lily reaching 28" / 70cm bearing lots of scarlet red coloured flowers over about 6 weeks, July - August. Plant in well drained soil in a sunny position. This beautiful blue bulbous flower will be a big hit on the Main Border roundel this year. Early flowering spring bulb. Pretty blue star like flower with white centre. Likes full sun. Hardy. Glory of the Snow. Height 15cm. Spread 20cm. Autumn Crocus. A robust. 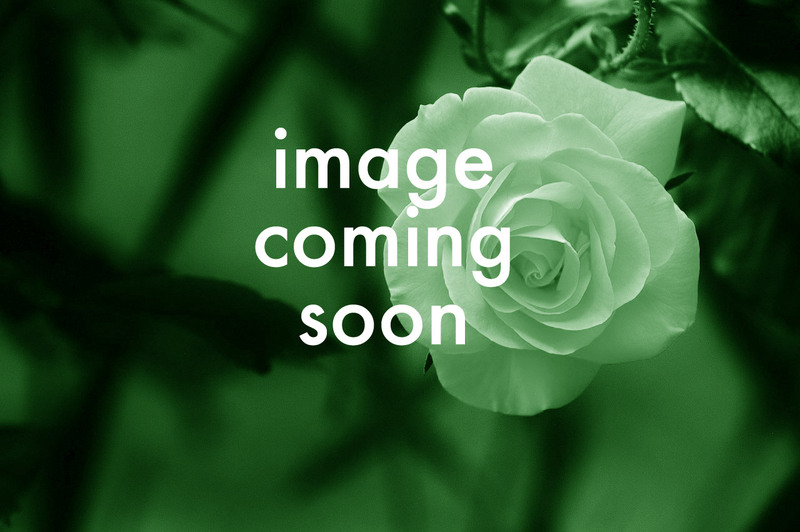 autumn flowering bulb with goblet-shaped. deep lilac-pink flowers. Height 15cm. Spread 10cm. Flower colour Lilac. Pink. Flowers from September to October. Herbaceous. Foliage colour Green. Hardy. CAUTION toxic if eaten. Gold and violet blue buds open to a soft violet, and cream centre. The bloom has a glorious, golden heart. Stunning in both stages of bloom. Each bloom is around 10cm tall. Up to three blooms from each bulb. A small cluster of narrow, deep green leaves surround the blooms. Each leaf has a single, silver stripe. Will tolerate more shade than most Crocus. 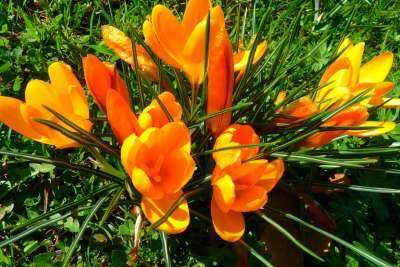 Crocus grow best in cool to temperate climates where they look best in rockeries, beds and pots. Plant in a sunny spot into well drained soil. They will tolerate light shade, such as under deciduous trees, especially in more temperate zones. 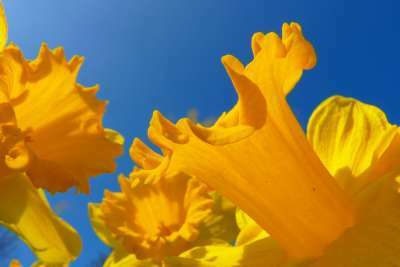 The bulbs dont need to be lifted every year so allow them to naturalise and only dig and divide after four or five years. Protect new growth from slugs and snails. Fertilise annually in spring. They are suitable for planting in gardens and pots.